Don't waste your money by turning up at the gate to park at Aberdeen airport - The discounts we offer for pre-booking are well worth the short amount of time that it takes to book on line. When you book your Aberdeen airport parking with us you can expect a quick, efficient, friendly service. Book your Aberdeen airport parking with us on line or call our award winning UK based call centre - either way we do our best to keep things easy going! Pre-book your Aberdeen airport parking early to guarantee a space! We are certain that with our price match guarantee you will find the best possible price for your Aberdeen airport parking. 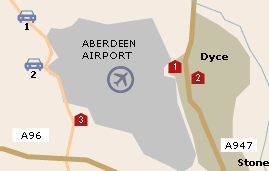 The Aberdeen airport NCP Flightpath is situated within Aberdeen airport's grounds. 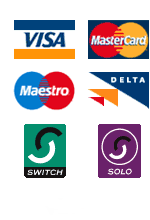 Regular transfers run to and from the airport terminal on a 24 hr basis. Aberdeen Airpark are now running a personal parking service! All client needs to do is call to reconfirm details imediately after placing their booking. Aberdeen Airport provides a wide range of facilities including those for business, children and the disabled. In addition, a full range of 1st class airport services are offered. Those wishing to drive to the airport will find it easily accessible from the A96 and well sign posted from the access roads. The airport offers a range of valet, short and long stay parking. Aberdeen Airport handles roughly 2.5 million passengers a year and demand is growing. As the world's busiest heliport, Aberdeen has four runways on which 15 airlines fly to 30 different destinations worldwide.